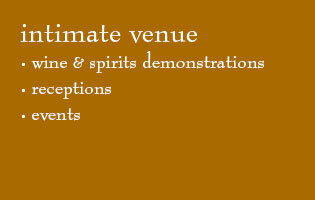 INTIMATE VENUE FOR TASTINGS, RECEPTIONS AND EVENTS. Located at Parkhill's South Liquors and Wine on Memorial near 101st Street across from Target. (c) 2019 - Humphrey Associates, Inc.